"I am interested in hinge moments in history"
Why did you decide to write a book with the title Six Months in 1945? I am interested in hinge moments in history, the time when one era ends and another begins. One such moment was the collapse of communism, which I witnessed myself as a reporter for The Washington Post, culminating in the fall of the Berlin wall and the breakup of the Soviet Union. I described this moment in my book Down with Big Brother. The previous such moment was the end of World War II and the beginning of the Cold War, which also marked the beginning of the nuclear age. Six Months in 1945 tells the story of how Americans and Russians met in the heart of Europe, and divided up the continent. What about your last book, One Minute to Midnight, on the Cuban missile crisis? You could say that was about the ultimate hinge moment, when human civilization almost came to an end. Fortunately, everything turned out all right, but it was much too close for comfort. So you argue that the Cold War began in 1945? I trace the start of the global competition between the United States and the Soviet Union back to the first few months after the allied victory over Nazi Germany. What we now call the Cold War became inevitable with the American development of the atomic bomb, and its use against Japan. Once the Americans had the bomb, Stalin also wanted the bomb. 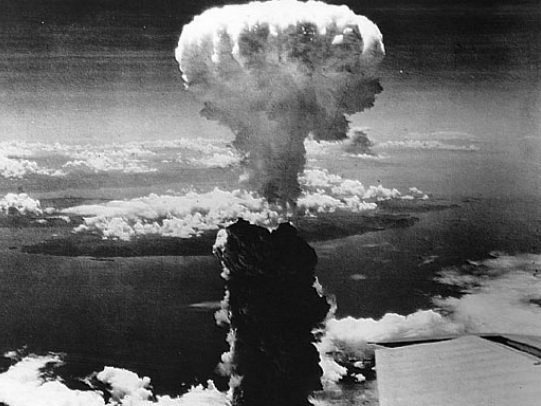 The nuclear arms race, which was the key feature of the Cold War, began in August 1945. Winston Churchill was already talking about an “iron curtain” being “drawn down across the continent” a few weeks earlier, in May 1945.
Who are your favorite characters in this book? 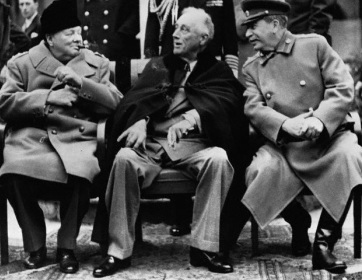 The principals—Roosevelt, Stalin, Churchill, and Truman—are all wonderful characters. Churchill is a gift to any writer: he is so colorful, with so many quirky personal habits: heroic, endearing and infuriating all at the same time. His associates left behind some wonderful diaries and letters that allowed me to recreate some particularly vivid scenes. 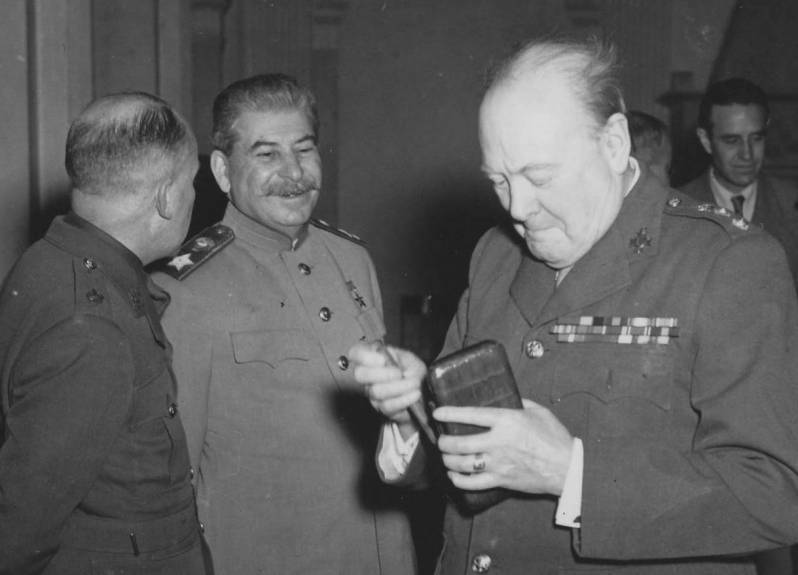 Stalin fascinated me because least is known about him in the West. I try to explain how this son of a shoemaker, born on the fringes of the Russian empire, came to control half of Europe. These six months are a real window into his personality as he spent a lot of time with western politicians. We see him interacting with two very different American presidents: the wily, aristocratic FDR, who tried to charm and flatter him, and the plain-spoken Truman, who saw himself as the representative of the common man. Who do you think was responsible for the Cold War? This is an old historical controversy among diplomatic historians that I sidestep in my book. My view is that none of the leaders wanted the Cold War but it happened despite them because of the deep-seated ideological, economic, and cultural differences between East and West. You see this very clearly when you look at encounters between ordinary Russians and Americans. Take Berlin, in July 1945, for example. While the politicians were talking peace at the Potsdam conference, Russian and American soldiers were shooting at each other a few miles down the road in Berlin. It did not take very long at all for hugs to turn into scowls. I immerse myself in the documents, archives, and memoirs of the time. Some of the most interesting material in Six Months in 1945 comes from letters that have never been published before—for example, from American and Russian soldiers serving in Berlin. But I also make a point of visiting all the places that I write about in my books. For example, I spent two months in Berlin researching the chapters about the Potsdam conference. 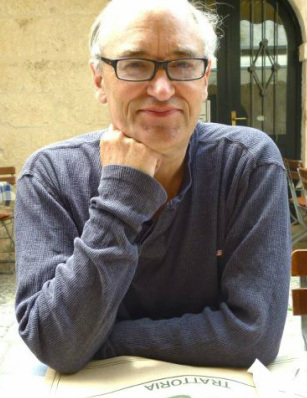 I visited the Kremlin on many occasions while based in Moscow as a journalist. I need to have a picture of a place in my mind in order to bring it alive for readers. I want readers to feel as if they are there, on the spot, eavesdropping on history as it is being made. My method is similar to that of a film-maker, shooting scenes to make a movie. "Superbly evocative and readable...filled with telling details." San Francisco Chronicle. "Superb...Dobbs tells the story with the precision of a fine historian and the verve of a first-rate journalist." Dallas News. "Elegantly written...Dobbs delivers engaging portraits of the national leaders...A confident and rewarding survey of a hinge point in 20th century history." Kirkus Reviews. 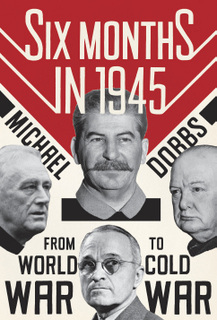 "Dobbs brings these 'six months in 1945' to life better than anyone before him. In brisk, engrossing chapters, he weaves between the Big Three decision-makers...and sketches their stratagems, illusions, strengths and weaknesses." --Military Book Club. "Dobbs delivers a propulsive read, replete with the sort of telling details that bring his subjects into high resolution. There are stretches of Six Months in 1945 that read like a taut World War II thriller." --Barnes and Noble essay."